Temples are the icon of religious spirit for anyone! 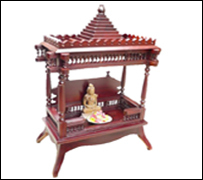 And we believe that the religious spirit is beyond business boundary thats why at H M Furniture Art we take care of quality, cost and durability of wooden temples sometimes known as pooja ghar or mandir. 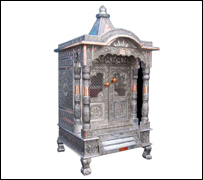 Our state-of-art design for Pooja Ghar/Mandir establishes benchmark design standards for other Traditional Furniture manufacturer and supplier because apart from adding necessary raw materials in our pooja ghar, we also add our special emotion, spirituality and attention and thats what make our products somewhat different with compare to other home furniture manufacturers and suppliers. 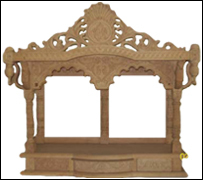 At H M Furniture Art, we manufacture & supply numerous kinds of Wooden Temples, Wooden Swaminarayan Mandir and different types of Wooden Temples made in artistic style hands and unique craftsmanship. 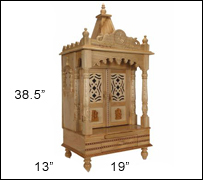 We firmly believe that home temples can be made and sold only if we add passion, emotion and spirituality to it. Keeping this point in mind we are glad to say that over the years since our inception, we have been successfully winning our customers expectations and satisfaction by delivering them traditionally crafted yet modern designed home temples. 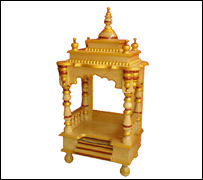 Our in-depth knowledge and expertise in manufacturing and supplying pooja ghar or home temples have been just an example of our creative yet spiritual craftsmanship. 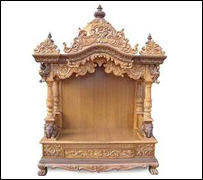 As a leading furniture manufacturer and supplier of temples, chairs, dining tables, center tables and swings we understand and deliver the quality needs of our valuable customers. 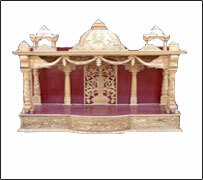 Just take a look at home temples manufacture and supply by us. Full of creativity, emotions and spirituality our state-of-art home temples are nothing but just a stunning example of our creative creativity! 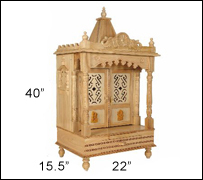 Choose from a variety of size, shape and color of our low cost and high quality home temples. 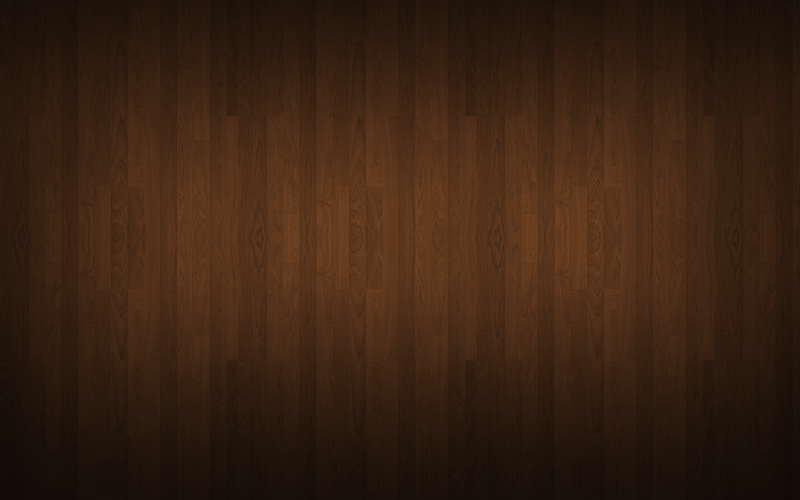 As an internationally recognized furniture manufacturer and supplier, we manufacture and supply different furniture products such as chairs, center tables, dining tables, swings, Traditional Furniture, t v stands and home temples in India and to international markets in countries such as USA, UK, New Zealand, Australia, Indonesia and other nations. 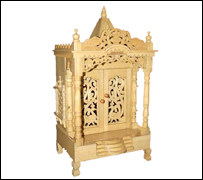 Our specially designed and crafted home temples have won much praised from our Indian and as well as other spiritual customers located in and around USA and UK. We have been engaged in delivering specially designed home temples that are best suited for houses in USA, UK and Australia. 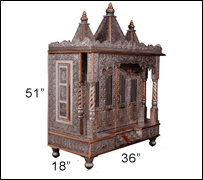 If you are settled somewhere in USA, UK, New Zealand, Indonesia or any other country and you are looking to have a home temple for your house or office, then come to us or just drop us an email from our contact us page and leave rest on us, we ensure you for the best possible home temples delivered to your home anywhere in the world!